We need your help! 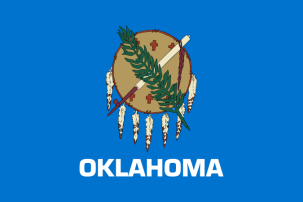 Access to Oklahoma death certificates has recently become restricted and efforts are underway to remedy problems that were created. If you have been denied a death certificate from the Oklahoma State Department of Health Bureau of Vital Statistics since 1 November 2011, please send that information to [email protected]. We have been asked by OSDH through the author of the bill to document how many people have actually been denied a death certificate since the enactment of a law restricting access went into effect. Please send any details that you are comfortable sharing. BACKGROUND: At the request of the Oklahoma Department of Health during the 2011 legislative session, House Bill 1397 was authored by Rep. Doug Cox and Senator Clark Jolley. This bill was presented as a “clean-up” bill to correct terminology and it had “minor” amendments on all but 2 of the 62 pages. It passed by both houses and was signed by the Governor on 25 April 2011 with an effective date of 1 November 2011. Notwithstanding the new law, the Health Department continued to distribute death certificates without restriction for more than 15 months after its effective date. The bill escaped the attention of all interested parties until the Health Department began restricting death certificates by memo to staff dated 11 February 2013. While they are not following the law as it is written, i.e. allowing only the deceased to access their own death certificate, they have now determined that only “authorized applicants” shall receive them. Under Oklahoma law, rulemaking is by the governing board of state agencies and must follow the procedures for enacting rules. We can find no evidence that this has been done in this case. Of Course this is how Politicians are trying to make it easier to steal identities. They actually wrote the law so that only the deceased had access to their death certificates? And I thought California government was thoughtless. This is absurd, death certificates are completely useless to establish identity. They should be worrying about fraudulent use of birth certificates. 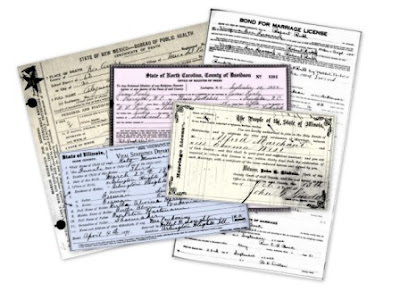 An 18 years old unlicensed kid can walk in a DMV office with a copy of birth certificate and obtain an ID or DL.